On Saturday, February 17, and Sunday, February 18, you and your family can see how the animals at Animal Ark live in the wintertime. The Wild Winter Weekend gives you a chance to see how nature affects the habits, and even the appearance, of the wildlife in the area. 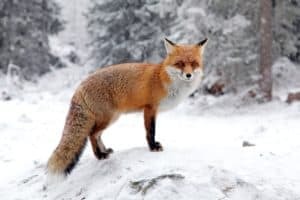 You can take in the sight of these different animals cavorting in their own winter wonderland, and learn more about their behaviors, and their environment. Animal Ark offers Reno families a chance to enjoy an opportunity to safely watch animals in an environment where they are comfortable, and to learn more about them, and their habitats. Inclement weather may affect Animal Ark’s ability to open up to the public. Animal Ark’s Wild Winter Weekend is taking place on Saturday, February 17 and Sunday, February 18. On both days, activities will run from 11 am until 3 pm. Animal Ark is located at 1265 Deerlodge Road, Reno, NV. Adult admission is $13. Seniors will be admitted at a discounted rate of $12, and children can enter for $10. Kids aged two and younger are welcome at no cost. Animal Ark will welcome visitors for a special opportunity to see the animals at play in the wintertime. You can learn how different animals adapt to the colder weather – that includes changes to their behavior, and even their fur! At Wager-Evans Dental, our practice is proud to offer comprehensive dental services to our patients. You can count on expert care during routine dental exams, and important oral health support when you need it. Located in Reno, NV, we proudly welcome residents from South Meadows, Double Diamond, Caughlin Ranch, Donner Springs, Meadowood, Sommersett, Arrow Creek, and all other nearby communities. To schedule your next dental appointment, contact us today by calling (775) 829-7700.